Hand-made, bench mounted bowls manufactured from grade 316 stainless steel. Custom and stock sizes available. 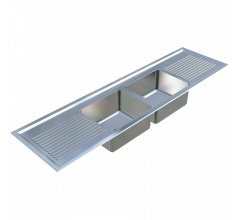 Supplied with acid resistant stainless steel or polypropylene waste outlets. 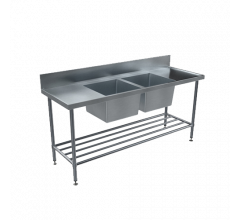 BRITEX Stainless Steel Laboratory Bowls are hand fabricated using 1.2mm grade 316 acid resistant stainless steel and can be inset or undermounted. 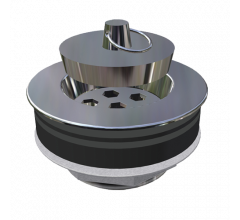 Supplied in standard and custom sizes, they are available with an optional WaterMark certified grade 316 stainless steel waste outlet and stopper (LSPW). 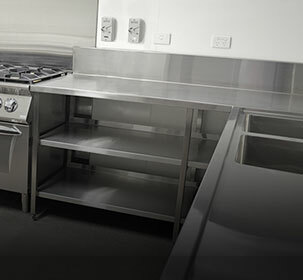 Ideal for school science rooms and laboratories they can also be made in grade 304 stainless steel and used in domestic or light commercial projects. 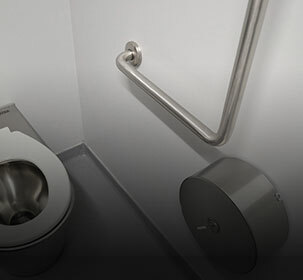 If required one flange can be extended from 32mm to 80mm to accommodate tapware. Radiused internal bowl corners ensure cleaning is easy. 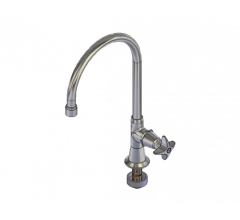 Can be supplied with laboratory tapware if required.